The general objective of this project is to support information measures relating to the EU Cohesion policy in Cyprus. In order to achieve this objective, the project aims primarily to target and promote a better understanding of the role of Cohesion policy in Cyprus. 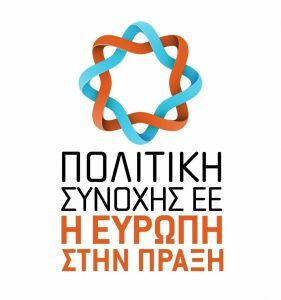 The aforementioned objective will be attained through the organization of Media Awareness – Raising Campaign, Organization/ Participation of the partnership on Public events, Organization and Implementation of Targeted Events and via evaluation of the support information measures relating to the EU Cohesion policy in Cyprus activities implemented by the participating organizations at the later stage of the project. The project addresses the challenges identified on Cyprus’s two operational programmes under EU Cohesion Policy 2014-2020 which will receive funding, one from the European Regional Development Fund (ERDF) and the Cohesion Fund and one from the European Social Fund (ESF). Partners are IMH C.S.C. Limited, European Office of Cyprus, EDEX – Educational Excellence Corporation Ltd (University of Nicosia), NEAPOLIS UNIVERSITY PAFOS, Frederick University, Open University of Cyprus, Ministry of Education and Culture, Enoros Consulting Ltd. Researchers: Ms Iliana Keli-Georgiou, Dr. Natia Anastasi, Mr. Michalis Sioulas.